For diehard Britpop aficionados, it really doesn't get much better than I Was Britpopped. This 2017 A-Z covers it all: those bands we all think of when we fondly remember those glory days of the 1990s, and those bands who had brief, shining moments to some degree and have since faded far into the deepest recesses of memory (there's more of those than you might think). If you ever experienced the thrill of a drive to Tower Records to paw through the import bins, my friends this book is for you. This compendium was obviously a labor of love, the duo of co-authors bringing together the bands, songs, and moments of the era into one beautifully nostalgic (and honest) triumph. Tom Boniface-Webb, half of the tome's writing team, kindly took some time to answer my burning Britpop-ian questions. 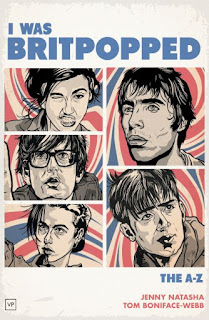 Read on for Tom's thoughts on all things Britpop, and be sure to procure yourself a copy of this must-read/must-keep title. You reference Blur's "Popscene" as the Britpop genre's genesis, but what to you is the ultimate song of this golden age? And what is your favorite Britpop song (if they don't happen to be one and the same)? It's a good question. Which song best sums up the Britpop scene. It could be "The Drowners" by Suede which was released just after "Popscene," or perhaps "Country House" (or even "Roll With It!") 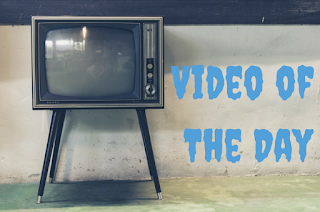 which brought the scene to the real attention of the national press, or maybe "Wonderwall," which is probably the most well-known and well-remembered twenty years later. "Connection" by Elastica, "Trash" by Suede, "Common People" by Pulp, the list of classics is endless, but with its recent rebirth after the terrorist attacks in Manchester last year, I've probably got to say "Don't Look Back In Anger" is the ultimate Britpop anthem. My personal favourite is a tough one, over the years it's changed. "Wonderwall" got me into the scene, I loved "On & On" by the Longpigs for a long time, "The Masterplan" by Oasis, "Badhead" by Blur, "Sale of the Century" by Sleeper, "The Wild Ones" by Suede is a favourite too, and anything at all by the Super Furries who have been one of my favourite bands for 20 years. Which Britpop album do you think has aged the best? And what album/s haven't necessarily weathered two decades all that well? Anyone that was caught up in the scene and never really fulfilled on their full potential, their music hasn't aged too well. For some bands it was just too easy getting noticed and so they never really had the struggle that goes along with classic creativity. Or they enjoyed the fruits of their success a bit too much. Sleeper's third album was pretty terrible, as was Cast's second, but both of those bands, second and first albums respectively, still sound amazing. Menswear are somewhat dated I'm afraid to say. The first two Oasis albums, Pulp's Different Class and everything Blur ever did still sounds as good as ever, but Mansun's Attack of the Grey Lantern is still arguably my favourite album of all time and new sounds can be heard with every listen. True or false: You've gone to The Good Mixer in hopes of seeing Britpop band members/have run into Britpop band members in The Good Mixer? I don't think we consciously ever went there looking for Britpop band members, but we did have our afterparty there after our book launch which was pretty fun. It's a strange place, not the place you'd expect floppy fringed indie kids hanging out in at all, but rather something of a heavy metal hang out. Still legendary though! The book's cover could be construed as controversial, as just one Gallagher brother (Liam) is depicted. Have you had any flak from Noel's people about the elder Gallagher not being on the cover? If Noel even knew our book existed I'd be thrilled to pieces! I spoke to a friend of his a while back, the writer and musician John Robb, who I interviewed for our new book, so maybe Noel will find out one day. I think the man himself is totally over Oasis and would probably never acknowledge Britpop as a thing anyway. His new stuff is incredibly out there and experimental, whilst Liam still seems to be living in the past. His solo record is great, but he plays so many Oasis songs live he does seem to be overly nostalgic. The cover was all about getting a rep from each of the big five all in one place, and Liam was the face of Oasis. The good looking one! You and Jenny made the call to leave Primal Scream and Radiohead out of the book (for valid reasons). Were there any bands you two maybe didn't agree on, either in terms of leaving them out or including them? Primal Scream and Radiohead! Some great entries were written for them that ended up on the cutting room floor. Anyone that bought our original self-published version of the book (as well as the spelling mistakes!) will notice that Stereophonics were also left out, and the reason for that was because you just don't think of them as a Britpop band partly because they're still around today. It was really difficult to work out what went in and what was left out and took a lot of negotiations. What we finally settled on is in the key that you see at the back of the book, the tiers and the time period, which ultimately informed the content of the book. Once that was decided it was much easier to feel comfortable with what was in there. But as we say in the intro our reasons are our reasons, and other people might not agree. If anyone doesn't agree then they are welcome to try writing a comprehensive A-Z guide about Britpop and see how far they get! Which Britpop band do you think was most critically (and/or popularly) overlooked? I honestly think that Mansun's Attack of the Grey Lantern is one of the best albums ever made (ed. note: I agree!). But that might be partly because I was there at the time that it came out. Maybe others wouldn't agree that weren't there. It was number 1 and found an audience, but never really crossed over into the mainstream like it should have done. Perhaps it was just too alternative for a popular audience. Paul Draper toured the album live recently which must have been amazing from twenty years of retrospect. Jarvis Cocker's famous rear end exposure on the Brit Awards would probably top many lists, but what's your favorite Britpop-era televised moment? Blur vs. Oasis making the News at 10 was pretty special. It was clear that this wasn't just another fad, and that the music that I loved was now a valid cultural phenomenon. Even my mum knew who Oasis were, and she struggles with the names of the Beatles! If you could put together a Britpop supergroup, who would you include and why? It's a tough one, because what gave each band its own identity was the individual identity of each of its members. To sort of answer the question there were definitely two sides to Britpop, those bands that sided with Oasis, and those that sided with Blur. Sleeper, Menswear, Elastica, Pulp, Suede, Longpigs, were all in the Blur camp. Not because of any shared identity, but often merely because of association. Whereas, Ocean Colour Scene, Paul Weller, Cast, Manic Street Preachers, The Verve, amongst many others, were on Oasis' side. The more you think about Britpop as an actual scene, the neater the split into the two camps becomes. One side vs the other. As we say in the book, the whole idea of a musical scene is of course incredibly arbitrary and the bands certainly wouldn't have cared, but it's interesting to look at from a sociological point of view. Why do you think Britpop still holds such a fascination for so many music lovers the world over? We were honestly surprised by the reaction to the book worldwide. We expected to find an audience of people like us within the UK, but people turned up to the book launch who weren't even born at the time Britpop was huge. People from America and all over the world have bought it. It's amazing that so many people find the music and the era so fascinating. I think the appeal comes firstly from the quality of the music released at the time. Creativity breeds creativity, and bands feed off each other in either a positive or a negative way, and that's how scenes are formed. Whether it be mods and rockers in the 60s, hippies and punks in the 70s, New Romantics in the 80s, Britain has always been good at producing movements via genres of music. Britpop was the first time it stretched across the whole country and attracted bands from overseas and that kind of success and popularity is gonna draw eyes and ears from all over the world. Oasis performed in front of 250,000 people at Knebworth, those numbers are hard to ignore and they're gonna get some attention from outside eyes. What was the best gig you went to during the Britpop years? The first gig I ever went to was Michael Jackson at Wembley Stadium in 1994. My second gig was Symposium at the Reading Alley Cat in 1996. Something of a different affair. We went to as many gigs at as many pubs and clubs and festivals as we could, hundreds. The best was probably Blur at Reading Festival in 1999. Technically outside the time frame of our book, but because it was Blur it has to be allowed. It was just after the 13 album came out and before they took a hiatus and nearly imploded after Graham left, and there was something of the end of term party about it. The site of 50,000 people moshing to "Girls and Boys" will stay with me forever. I've always loved Be Here Now. What's your side of the fence about the third Oasis album? Be Here Now came out the same day I got my GCSE results (the exams you take at 15/16 in the UK) and guess where I went first. HMV to buy it. There was a queue of like-minded punters snaking out of the door at 9 AM as it opened. It was the most hyped and eagerly anticipated album since the Beatles and there was literally no way it could live up to that hype. Apparently it's also the most returned album in history as well! People are very mixed about it. The songs are good, but over-produced and too long. I think the problem was that they took too long before recording their third album whilst they were busy touring the world and so when it finally came out, the demand was so huge (in a pre-internet world where releases were all fans had) that it never stood a chance of fulfilling expectations. It's a great album in places though. I love "My Big Mouth," "Be Here Now," and it's amazing to see the band play a version of "All Around the World" in the film Supersonic, back in 1991 when they were just starting out. Noel had the foresight to hold it back all those years. What Britpop songs were mainstays on the mixtapes you made back in the day? Like all music fans my age, I was an avid mixtape maker, but songs never made it on to more than one volume of Tom's Greatest Hits, because there were so many amazing new tracks to listen to. That said, I love the Blur track "You're So Great," from the Blur album, and would often put that on a tape I had made for a prospective love interest. There's a great scene in High Fidelity where John Cusack's character explains the art of creating a good mixtape, it's a total classic. The brilliant thing about Britpop is that it led me on to so many other bands, in particular the Beatles, who are hands down my favourite band of all time. I remember coming across a tray of my dad's mixtapes in the attic in the late nineties which was amazing. They were filled with Bowie, Lou Reed, Iggy Pop, the Stones, it was a great way of finding common ground through music. Common ground that my dad and I still hold today. I did spot one omission - no listing of the Super Furry's Fuzzy Logic! Is there anything you've pondered since the book's release that you wish you'd included? Fuzzy Logic didn't make the top 20 in the charts, so by our self imposed rules was cut from the book. It was a sad having to do that as I love that album so much, but I tried to wrap some of the text into the overall Super Furries section. There is loads of stuff we wanted to include but couldn't for spacial reasons. Most of the albums by the Manic Street Preachers, the first Stone Roses album, the Charlatans. We spent so long getting our list together that we're now happy with it. And besides we can always write more books with more entries in them! Finally, Blur or Oasis then? And Blur or Oasis now? Oasis then, Blur now. Oasis were the most important thing in my life between the ages of 14 and 16, I was obsessed, just like Jenny was, but after Be Here Now I pretty much stopped listening to them. I bought their next album, Standing on the Shoulder of Giants, and it was ok, but there was more exciting music out there, and it certainly wasn't cool to listen to Oasis any longer. I kept half an ear on their releases after that and liked what I heard, It was just the simple fact that their time was up. They probably went on for too long. In recent years though I've started listening to them a lot more and the later albums are actually really good. Noel and Liam's solo work is also really good. I'm glad they're still around, the UK music scene would be poorer for not having them in it. Blur however remained consistently good throughout their time together, and called it a day when they needed to, and then came back when they were needed again. They found it hard to shake the 'oy guvner' Parklife image that they were best known for, but the Blur album and the 13 album were so markedly different to that era it was hard to ignore how good they really were as a band. Damon Albarn is a total musical genius, and he always seems to be working on something new, whether it's the Good, the Bad and the Queen, Monkey, Journey to the West, his solo stuff, film sound track stuff, and obviously Gorillaz, he seems to cover all of the musical genres at the same time, and it's great to see him and Noel playing together too, that old hatchet long buried! It's strange to have grown up with these guys over the courses of their careers, they've been such a key part of my life for more than twenty years now, it's impossible to imagine them not around any longer! Here's to the next twenty years! What lyric do you feel most represents the Britpop era? And what lyric is your favorite? "Parklife! Know what I mean!"